Jummi Kim is excited that she can assess her students based on their thinking. With an Integrative Thinking workshop under her belt, she is more focused on the process of learning than the outcome. In her classroom, success criteria have expanded to include Integrative Thinking. Now, when her students complete an exercise using a Pro-Pro chart, she looks for whether her students can identify the benefits of opposing models, and if their attempted solutions build on these ideas. Since adopting Integrative Thinking, Jummi noticed that her students have a better understanding of the content, and more importantly, have more confidence. Instead of focusing on a right or wrong answer, her students feel more comfortable voicing their ideas. Students who previously wouldn’t have shared their thinking, now speak up and are more comfortable knowing that their ideas are as important as the solution. Hear Jummi talk about her and her students' experience using Integrative Thinking in her grade one classroom. 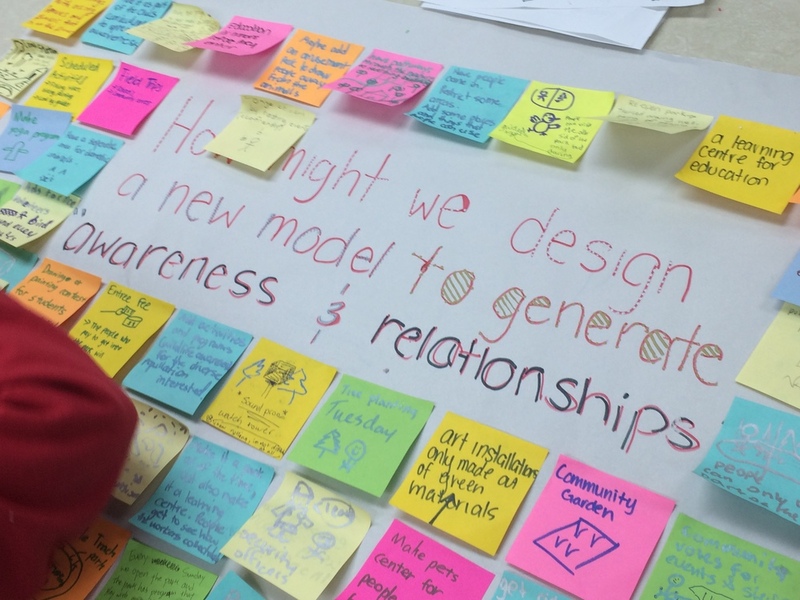 Jummi keeps using Integrative Thinking because of the ideas she sees coming from her students. "[The activity] is great. My students are great. I'm great." Students building a ladder of inference. Students working together on a Pro-Pro chart. Completed Pro-Pro charts looking indoor and outdoor waste management. "Dive in! Try one of the strategies that you feel comfortable and let the students explore. They will surprise you." But Jummi wanted answers. She wanted to know why, after they did such a good job at the beginning, were her students not displaying the same quality of thought. And the answer eluded her until she realized that she had forgotten to include a crucial component of Pro-Pro charts - identifying the stakeholders. As soon as she explained the role of stakeholders to her students, her students were able to expand their thinking and began to look at different models from multiple perspectives. With this minor adjustment, the ideas that gave Jummi her initial confidence began to flow again. Before exploring Integrative Thinking, Jummi believed that it was her responsibility to prepare her students with facts, which led her to focus her pedagogy on repetition and memorization. The problem was that neither she, nor her students, were super engaged. It wasn't until she began to use Integrative Thinking that Jummi realized her students can innovate possibilities that she would never have thought of. This revelation allowed her to step back into the role of a facilitator and let her students come up with their own solutions. Jummi shares regularly at I-Think workshops to encourage other teachers to explore their students' thinking.